Warner Bros. has put online these new screenshots of Middle-earth: Shadow of War that depict various moments from the game. Very nice, cool to see a nice forest area, looks really nice. 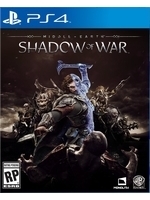 I have to own Shadow of War, my PC is ready. Yeah, my PC too... TRUE 4K/60FPS ftw:-))!!! !